The design team, Chuck is posing for a group photo. From left are Ji Young Lee, Su Min Lee, JiWan Kim, Professor Hwajung Hong, and SungWon Jang. 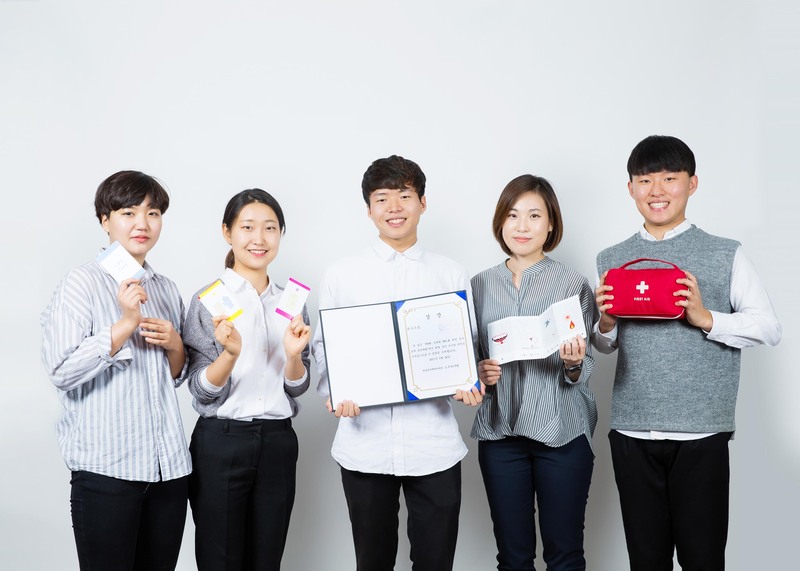 A group of UNIST students, including Su Min Lee, JiWan Kim, Ji Young Lee, and SungWon Jang, has received the best award at the 9th Design Contest for the Other 90%, held at Global Convention Plaza, Seoul National University on Friday May 26, 2017. This competition recognizes both undergraduate and graduate students who have significantly contributed to the promotion of global awareness of poverty and the opportunities offered by the appropriate technology. 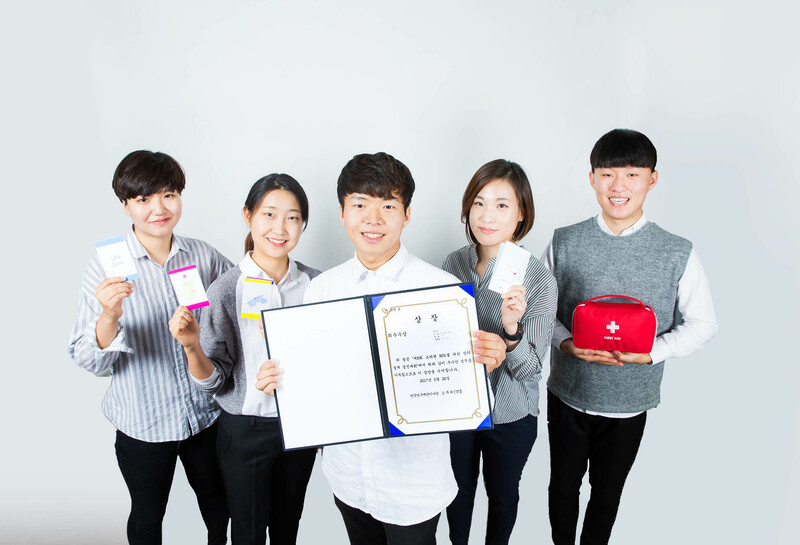 Their award-winning product, entitled ‘Life Card’ is a first-aid instruction tool, which can be added to a medical kit to help provide users ready access to first-aid treatment. With the help of the instruction, anyone can act in an emergency situation. Each year, an estimated 150,000 people die in situations where their lives could have been saved if someone had known first-aid. The major cause of this is that many people are unwilling or not have the confidence to carry out first-aid on those ill and injured. The design team has developed a first aid instruction tool, called ‘Life Card’ to help people in developing countries to fight this challenge. This educational tool, which consists of instruction cards and pictorial manuals, serves as a reference guide for basic first aid. This compact, intuitive tool comes with two sets of instruction cards: (1) A set of ‘situational cards’, presenting possible emergency situations and (2) another set of ‘treatment cards’, suggesting the proper supplies in your first aid kit. At the bottom of each situation card, an appropriate treatment method is indicated in a symbol to handle emergency situations. These symbols are, then, paired with symbols corresponding to the medical supplies, indicated in the treatment cards. On the back of each treatment card, the proper use of medical supplies, is illustrated. Meanwhile, the 2017 Design Contest for the Other 90% was organized by the Korean Ministry of Science, ICT and Future Planning and hosted by several organizations, including the NRF Worldwide Global Village Technology Sharing Center. This year, a total of 62 teams partook in this competition.